July 31, 2009 - Friday Faves, etc. Hi all! How's the week going? Ready to relax for a few minutes and look around? Well, first let me tell you that I had a few days off this past week, and I bounced back home relaxed and ready to take on the world again. 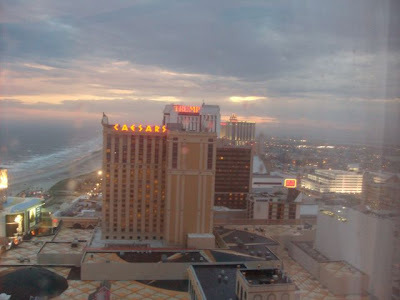 We went to Atlantic City, where the peaceful beauty of nature meets man-made brightly lit beauty. It is so easy to forget how much we really need to step outside of our routines from time to time to shake out the cobwebs. I had a ball :-). Now that I got that little giggle out of my system, we'll move on to Willow Way, or SoapEquipment.com The designer of this equipment, Ron Jonas was - along with his wife - a soapmaker himself. He is well aware of the challenges of moving heavy vats of hot oil, how difficult it is to cut uniform bars, and the wonders of keeping oil in a liquid state for ease of use. If during your soapmaking adventures, you've ever let your mind wander to how easy it would be if only someone would make "xxxxx", then check out this site because Ron has already done it. 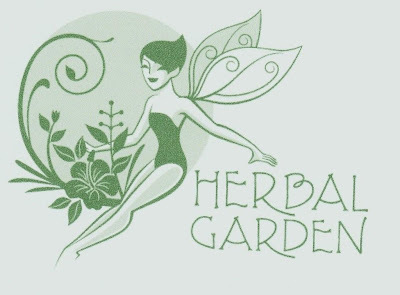 Next up, the all-natural products from Herbal Garden. Marilyn Courtwright has a complete line of bath, beauty, and health products. Her newest soaps look luscious, and she uses mugwort in one line for sleep. In the mood for a little more fun? Click on over to The Glastonbury Tarot and have a free on-line reading. You choose the cards and ask a question if you'd like. At the end of a long week, it can be almost as good of a pick me up as our "Cuppa Happy" tea! In fact, all of our new teas are incredible! Stop over at The Essential Herbal to check out all of our products :-). Happy end of the week to you all! Here it is, the end of the week and we're just getting it over with, right? Well probably not - lol. My experience is that herbies love each day and rarely wish them away. The Hiker's Notebook is an incredible compendium of interesting natural and cultural facts about things you commonly see on the trails in the southern Appalachian Mountain region by William Needham. I don't remember where I got this link, but it is spectacular! 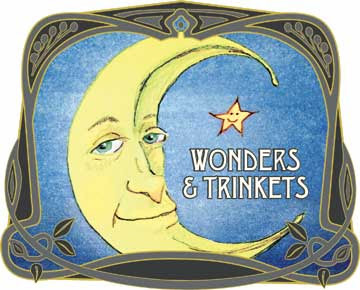 Blue Moon Herbals carries formulas that stir the soul, soothe the spirit & heal the body. Debbi Quinn is the proprietor, and if you get to meet her, she emanates a great vibe. Harry Schwartz Eats the World is a collection of interesting tidbits that pass through Harry's head on the way to being digested. Always something interesting there. Finally, Gifts to Make has lots of little things to do and print-out to make them special. I just noticed the crescent moon theme here. Well, let's go with that! Wow! What a busy time this is! Last week I posted a quick Friday blog, knowing that the next few days would be a blur, and that's been true. The deadline for the magazine was on the 15th, so we just about had everything figured out in time for Ms Laura Daniel to arrive for a quick weekend among the plants. We had a great time relaxing and talking. It was really fun! I may have mentioned that we wound up getting a fence built around the critter feeding statio...er.. I mean vegetable garden. I asked Jim from J&J Growers at market if he had any bedding plants left to plant around the outside, and that lovely man showed up with three incredible, wonderful, glowing FLATS of marigold and wax begonia. You know what that means, of course... I have to plant them. So we've been working weeding and planting into the morning and night routine around here. The Essential Herbal is not a business location, and we do not have hours of operation other than listed class times. One of our writers, Kristine Brown has been putting out a monthly herbal learning guide geared towards kids, but certainly very appropriate for full-grown kids too. The style is very gentle and comfortable, each issue is a work of art! 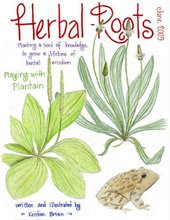 Herbal Roots Zine is written (by hand, I might add) about a single herb each month. There are activities, songs, puzzles, and all sorts of things to do to learn about that herb. It is delivered as a PDF electronically, and each issue costs $6. Twisted Sisters Herbs Next up is a site/blog that my sister Maryanne and I have put together to get the word out about our classes (and who knows what else will wind up there - lol). A lifetime or two ago, we held classes every Friday night at the old Herb Basket. We really enjoyed those classes, and have decided to put together full days of herbal adventures. If you're local(ish), check out our schedule and come make some fun herbal stuff with us! SunRose Aromatics Although I often talk about distilling my own hydrosols and the occasional essential oil here at home, I don't think I've mentioned how much I love the exotic, rare, and beautiful oils and that are the true passion of Rosanne Tartaro at SunRose. I'm sitting here with some Orris Root Concrete and some Fragonia EO, some aged Patchouli and a few other delights. Her Chakra Balancing Blends are incredible, and she's written a wonderful book packed with information to help us understand our chakras. Skip on over and look around. Her site is a treat to the senses. On August 15th, Maryanne and I will be heading to the Wondiferous Weed Walk, held by Sugar Grove Herbs in Somerset PA. Somerset is close to VA, WV, and OH. It's probably about 4 hours west from Lancaster. Barb and Fred Will have put together an amazing, informative, FUN day of weeds, bees, mushrooms, lectures, and herbs. I think Barb mentioned that there is a wind farm on a neighboring property, and also an outdoor stone oven. Anyhow, $50 includes lunch and handouts - along with all the lectures, demos, and the weed walk. It should be an amazing time... and I hope to see some of you there! Oh my! Susan Wittig Albert's favorite recipes! Just yesterday, we were talking about green tomatoes (Susan's green tomato pie) and tomato pies at our market. Today I noticed that Susan Wittig Albert posted a recipe on facebook for a tomato pie and asked for permssion to add it to the blog about our market and she graciously sent me this link: http://www.abouthyme.com/recipes/index.shtml Please take a moment to look them over, because there are some stupendous doozies there among her favorites. Many are taken from her mystery series about herbalist China Bayles. I've been wandering around with the camera again. This picture of sidewalk chalk made me smile. I went over to my friend Sarah's house, and was greeted with this artwork. Looks like grand daughter Ember was over for a visit. Poppies!!! I've been trying unsuccessfully for years to get poppies to grow here. They must be pretty tasty, because the leaves would come up and quickly be gobbled down to the ground. This time I think I just put so many seeds out there that they couldn't eat them all. The orange ones didn't do much, although they did come up and set seed, so there is still hope for next year. These pink ones are everywhere, and they are lovely. This is just another view of the pink balloon flowers, showing how they open into large soft stars. Maryanne just got some of the deep blue ones. I'll probably be coveting them soon. The sun is starting to go down, and the pink glow hits the top of the exhinacea. I love that time of day, when everything looks so soft and peaceful. Out on the back deck at sunset. Here you can see the chamomile, the vitex, the meadow mint, elderberry... and way across the field you can barely make out the pink blossoms on the mimosa tree. I sit and look out over the fields, and watch the cloud formations overhead. There is nothing between me and the sky; I am so far up here on the hill. Sometimes the house is in the clouds. It is a perfect end of a perfect day. Every year at this time, I find myself running in several directions, attempting to capture all of the plants that may be needed in the coming year – at just the right time, preserving them in the most perfect manner, and trying all the while to expand the variety, learn a new plant this year, eat a new wild plant or a new recipe. It can be a little overwhelming. When I first started out, more plants were missed than were hit. A few days of rain can throw off everything if you aren’t prepared. So how do you prepare to harvest and utilize a number of different plants each year? I will happily share my method, and you may change and revise it to suit your needs. ~ First make a list of the herbs you’d like to find and harvest this year. It helps if you know where they are, or if they are already in your garden, but I always have a few that are always in the “if found” category. ~ Decide how you want to use them. Will they be preserved in oil, vinegar, alcohol, or dried? Gather the supplies that you plan on using. A nice supply of ½ pint, pint and/or quart mason jars (with lids) is good to have, but hopefully you’ve been saving jars during the year.. In the spring, I purchase about a gallon of vodka. There is always lots of olive oil and jojoba here for Soapmaking, but I get good vinegar ready too. ~Stake out your means of drying the herbs. Some small flowers like chamomile and elder do very well on a screen, as do calendula petals. Other plants are great to hang upside down in a dark, well ventilated space. I was just reading about the success some are having putting their herbs in paper bags, and leaving them in the car on a hot day – it dries them quickly with very little loss of color. I have a banister with brads along the one side to hang the bunches. Find a good, out-of-the-way spot, and prepare it for the harvest. Now you’re ready. Make hay while the sun shines. I try to do something every day. At the moment, my kitchen counter is lined with jars of vinegars and tinctures. Lavender bunches are hanging all over the place. The oils are infusing down at the soap shed. Right now the chamomile is being infused in alcohol. I pick and add some new ones every day as they reach the right stage. The elderflowers are starting to drop from the plant, so I go out with a newspaper and hold it underneath while giving it a gentle shake. Sage is soaking in vinegar, and jewelweed and plantain are going into oil and vinegar. The oil is frozen for use in soaps over the winter. But you know, I’ll still miss some. It never fails. Rain will come and make it difficult to harvest something that is precisely at the point of now or never. 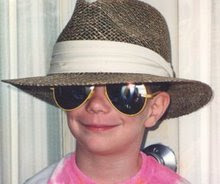 Vacations happen. In the long run, if you have some of them, you’ll probably wind up having what you need. The important part is starting. If at first you find that 2 of your preserved herbs helped keep your family comfortable over the winter, you’ve had a successful year. Next year will be better, and so it will go until you know exactly what you need each year. Oh and be sure to do some things that are good for today. The cobbler below is half raspberries that we found along a fence row, and half peach. Delish!!! The recipe is Here... I just doubled it up and used a large pan. It was for the 4th of July picnic, and it went fast! Did you ever wake up and have one of those, "I could have had a V-8" moments? They happen to me a lot...enough that is sort of surprises me that my forehead isn't more banged up. This morning it had to do with listing the advertisers for The Essential Herbal here on the blog. We love our advertisers! Along with the writers, they keep the magazine going. While you're here, we hope you'll visit one or two (or all) of our advertisers. If you choose to purchase from them, please let them know that you saw them here 0r in the magazine. In the meantime, I'll just keep trying to come up with more value for their advertising dollars. This summer is filled with herbal experiments and adventures! I'm having a ball trying different things. I have never been one to follow the relatively new rules for making herbal preparations, but prefer to try things to see if they work. Of course there is an overview - how to make a salve, how to make a tea, how to make a tincture - but after that I think that our great-great-great-grandmothers could do it without anyone setting rules, and so can we. You can find our tinctures HERE. Some of my experiments sitting on the counter currently are valerian flower tincture and sour cherry tincture. I've been wanting to try both, and we'll see what happens. As far as the sour cherries, well... if that one fails I am "stuck" with sour cherry vodka that can become a cordial. Oh well. One that is NOT an experiment is the Mimosa (pictured below) also known as Albizzia. I started making this a few years ago after Betty from Green Spiral Herbs mentioned the interesting properties of "the happiness herb" on the Essential Herbal Magazine's discussion group. Traditionally the bark and flowers have been used. Michael Tierra writes, "Categorized in the Chinese Materia Medica as a calming spirit herb, the bark is thought to “anchor” the spirit, while the flowers lighten it. The flowers have also been used for the treatment of insomnia, amnesia, sore throat, and contusion in Oriental traditional medicine (Kang, et al) as well as depression, melancholy and anxiety". Another source said that was due to the fact that the flowers were more rare. I only use the flower, although the tree is short-lived and easily sprouts from seed - so there is bark available. Following my own personal doctrine of signatures, it seems like a no-brainer to look at these flowers and know where the happiness part of the plant is stored. I usually use this along with holy basil, and there is some lovely milky oat seed tincture cooking away on the counter, too. The combination has been nothing short of miraculous in my experience. Some also call albizzia "herbal prozac" but I am not fond of giving herbs drug nicknames. To make the tincture, we packed a jar with the flowers after snipping off the stem parts. The flower is made up of silky strands that remind me of cornsilk, although they are much finer. The flowers are then covered with vodka. After a few days, the pink color from the flowers is transferred into the liquid and the flowers are white and colorless. At that point, we strain out the liquid and start again with fresh flowers, reusing the original alcohol. We'll continue this way until the tree stops giving us flowers. Between the still and the tincturing, it is a very productive summer so far. Along with that, we've been wildcrafting our usual haphazard blend for tea. Christie Sarles from Radical Weeds mentioned a really great children's book (out of print but available on Amazon) called Wildflower Tea a few weeks ago on the Yahoo! list. My sister ordered it and gave it to me as a gift. I loved reading it! There is an old man out there who is a mirror of me - lol. Each day is full of wonder at this moment in the middle of the growing season. Everything is trying so hard to get the bees to notice, wanting to set seed, blooming with wild abandon. Stepping outside, there are blossoms everywhere if I bother to stop and look. And you KNOW I do. Right outside is the lovely Anise Hyssop (below). These tiny flowers, along with the leaves of the plant, contain a delicious anise flavor. Delicious in teas, our favorite use of the flowers is to sprinkle them over slightly sweetened fruit. Yum! This section of the front garden was a-buzz with bumbly bees. There are two on the echinacea, but they are hard to see when the picture is downsized for the blog. In another week or so, they will turn most of their attention to the large butterfly bushes and the towering vitex bush on either side of this view. I know that the balloonflower has some medicinal uses in Chinese medicine. The root, I believe. Below I have a variety that opens to shell pink star-like blooms after the balloon "pops". Typically this flower is sort of a cobalt blue. Last week we went to Farm at Coventry for Susan Hess' lavender workshop. Right outside her kitchen door I stumbled into these luscious hollyhocks. They are the happiest looking flowers I think I've ever seen. Inside the kitchen, we filled the lavender and showed the attendees how essential oil and hydrosol is made. The whole place smelled wonderful. That little still has been one of my favorite investments, taking us places and putting us in front of some wonderful people. It's a lot of fun. Over the past few days I have distilled more lavender, a couple runs of chocolate mint, some catnip, elderflower... and there is still more lavender to be done. The catnip made me dizzy to be near!